The date February 24, 2010, flashes briefly on a dark screen followed the sound of a panicked voice over phone. There has been an accident at Sea World and one of the trainers is severely injured. The trainer in question, Dawn Brancheau, was dragged into the water by an orca named Tilikum. 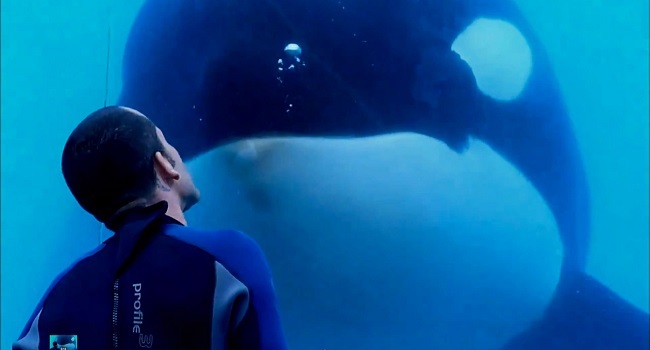 To understand the reason for the occurrence, director Gabriela Cowperthwaite must first give us the background of killer whales in captivity. It all started with the 1970 capture of killer whales in Puget Sound, Washington. The orcas, each group having their own tactics for avoiding capture, were chased by hunters in boats and helicopters. The hunters eventually honed in on the mothers and children, with the young whales ultimately being the targets. 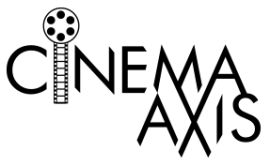 The film then shifts to the Norwegian Sea, off the East coast of Iceland, to document the 1983 capture of a then three year-old Tilikum. Blackfish documents Tilikum’s time at Sealand near Victoria B.C. where he spent three quarters of the day in a unlit steel box with two larger female whales that bit and poked at him constantly. It was at Sealand where Tilikum had his first serious incident. A former Sealand trainer and two eye witnesses tell the story of the February 21, 1991, death of trainer Keltie Byrne, who lost her footing and fell into the tank with the whales. Byrne was passed back and forth between the whales and eventually drowned. 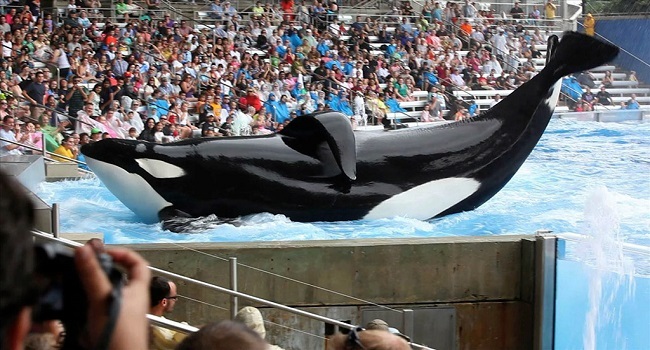 Shortly after the incident the park closed and Tilikum was sold to SeaWorld. The documentary is full of firsthand accounts, from former SeaWorld employees, on the conditions at the park, the near misses and the aftermath of the Dawn Brancheau incident. The trainers were all thrilled at first to have worked at SeaWorld describing it as their dream job. However, this view changed after they witnessed how the orcas were treated and the way the company would spin information. Contrary to SeaWorld jargon, it is not normal for orcas to have a collapsed dorsal fin. Also, killer whales do not live for only 25-30 years as described by SeaWorld. In the wild male orcas can live up to 60 years and females to 100 years. The most fascinating aspects of the piece are the motion capture recordings of incidents, and close escapes, involving trainers and the orcas they care for. The most dramatic being the 2006 near-death drowning attack on trainer Ken Peter by the killer whale Kasatka. A chilling piece of video shows Kasatka holding one of Peter’s feet in her mouth then repeatedly bringing him down under the water. The response of the trainers to these incidents is even more incredible. Rather than being upset at the orcas, many of the former SeaWorld employees have now come to realize that whales like Kasatka and Tilikum were only doing what they would normally do during shows in order to get food. Blackfish is a well crafted film that provides accounts from park staff, whale experts, and safety experts in the marine park industry. It is important to keep in mind that this is a multibillion dollar industry that is based on animals in unnatural living environments. This results in many of the trainers being placed in dangerous situations on a daily basis. Blackfish is a film that I can definitely recommend. do we see horrible maltreatment of the Orcas? if so, i wont watch it. Hello PhipsYou do see some minor bruising ,cuts and bleeding but it's not overwhelming and does not detract from the film as a whole. Why not watch? Just because it's an inconvenience? Is it horrible to see it? Of course it is. But what do you think it is for these wonderful creatures? People can't close their eyes for things like this. You HAVE to see it! You might think you know it's horrible. But until you see stuff like this, you dont know half of it.It's sad and heartbreaking for us, but how they feel is worse. Laura, orcas are not dolphins and dolphins are not orcas. Orcas and dolphins are both whales.